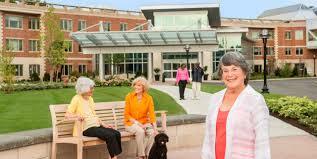 Will Supply of Senior Housing Outpace Demand? From WSJ.com: The supply of senior housing is expanding at a rapid clip in many major metropolitan areas across the Sunbelt and elsewhere, raising concerns that builders are racing ahead of demand. Analysts said the building spree could lead to higher vacancy rates and lower rent increases for real-estate firms that own housing dedicated to seniors. Shares of big U.S. companies that own a lot of senior housing have already tumbled this year as investors fret over rising interest rates. Read more .